What if we are heading for dreadful yet durable deadlock as in Israel/Palestine? Israeli society evolved in such a manner that there was a shift to the radical right at the grassroots which reflected itself electorally; the once powerful Labour party and Peace movements were increasingly marginalized; and the Oslo two- state solution was in effect halted and partially reversed. For its part, Palestinian society shifted from the secular PLO and the radical left (PFLP), to the Islamist resistance whose commitment to a two state solution based on the 1967 borders, was belated and shaky. What if the same thing is happening here? The Tamil nationalists long overshot the mark and crassly pushed an agenda going beyond the only bilateral commitment the Sri Lankan state has entered into (however un-freely), namely the Indo-Lanka Accord of 1987 and its corollary the 13th amendment which guarantees provincial devolution within a unitary state. 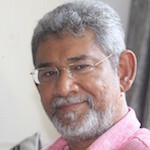 Meanwhile, and partially in response, Sinhala society seems to be shifting organically in the direction of the ethno-religious neoconservative right, to the extent that even the center-left populist JO-SLPP may feel unable to stand up to it and demarcate itself as against it (which is precisely what happened to SWRD’s SLFP between 1955 and 1956). What can be done? Create a shelter, a countervailing space and a possible alternative over the long duration. Start with what Noah did in the Bible: build an Ark to survive the coming storm. But do you, we, really want to combat racism and religious extremism and build a movement for inter-communal peace and solidarity? Or do we only want to use the issue to take potshots at our favorite targets while staying within our respective comfort zones? Let’s assume that some of us really want to combat racism. How then to do it? It needs to be done the way it is all over the world. If the Left doesn’t combat racism and religious extremism, no one does. An inter-communal peace movement against racism and ethno-religious extremism must be Left-driven. For sure, the Left cannot do it alone, but without the Left, or rather, without a Left, no one effectively fights racism. Cosmopolitan liberals cannot “take it to the streets”. A divided Left cannot fight racism. This does not mean the left has to unite into a single party in order to fight racism. That idea would be utopian. It does mean however that the Left has to arrive at some kind of unity or at least coordination. 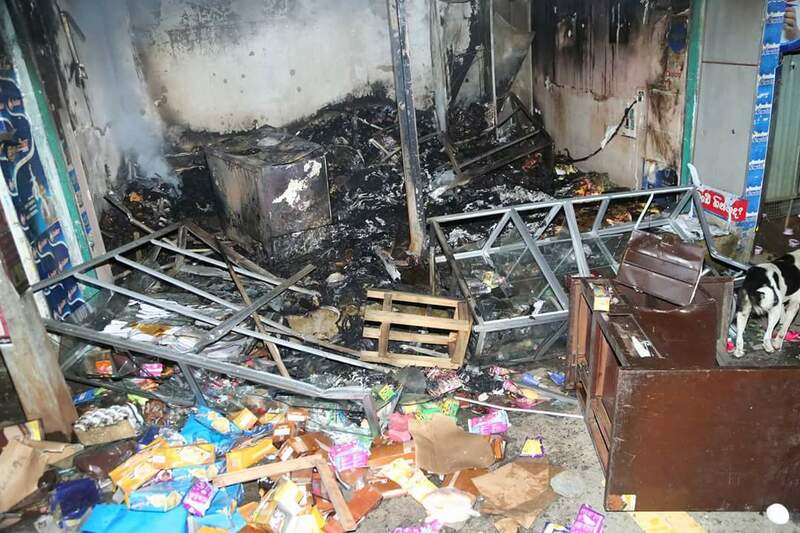 There were two mobilizations against racism after the Kandy attacks. One by the FSP-IUSF, the other by the JVP. They were both of fairly modest size. If there had been a joint mobilization the crowd would have been much larger. As the saying goes, unity does not merely add, it multiplies. There has to be a joint mechanism of the JVP and FSP for the purposes of coordination at least on the issue of racist violence and how to prevent and/or combat it. This alone won’t do but it is necessary start. The JVP should have realized by now that without the university student cadre, it cannot even campaign effectively at elections. The FSP must realize that without trade unions and peasant associations, it is crippled. The FSP has the students. The JVP has the trade unions and peasant unions. Racism cannot be fought without the big battalions of the university student movement and worker and peasant organizations. The anti-racist movement must in the first instance be a youth movement, and in the last instance, a broad and deep people’s movement; a truly organic mass movement. The anti-racist struggle imperatively requires the coordination of the JVP and FSP. Joint action of the JVP and FSP, while a necessary condition is not a sufficient one. These two nuclei must be able to draw in all other sections of the left, obviously not on the basis of a common political approach but strictly on the basis of opposing racism. This most certainly has to include the left elements from the North and East. This would mean the continuators of the old Eelam Left as well as the new progressive tendencies that have arisen in the North. In a landmark piece, Ahilan Kadirgamar has mapped the re-emergent and new progressive trends in Tamil politics. Surely these are the natural allies of the Southern Left? Surely an alliance between these Southern and Northern Lefts is the very basis of a reunified Sri Lanka based on equality of rights, autonomy and social justice? 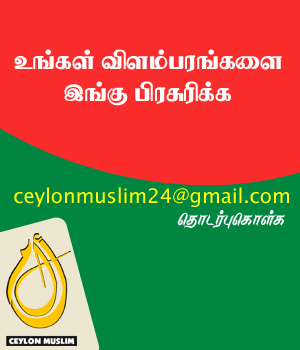 There can be no Left which is limited to the Sinhala majority areas. Indeed one of the defining factors of being a Left is that it should cut across ethno-linguistic and regional barriers. This cannot be merely at the level of rhetoric or limited to the Tamil members of the JVP and FSP, but in terms of actual participation of the Tamil left from the North and East. This is also the time to ask why the progressive tendency of Muslim politics in Sri Lanka seems to have died out (one recalls the Islamic Socialist Front of Dr. Badiuddin Mahmud). The newly formed Alliance for Muslim Rights of which Mr. A.W. Abdul Azeez is the effective spokesperson, seems to me the closest we come to a progressive Muslim formation. I hope the Left parties will reach out to it. Well, the proof of the pudding being in the eating, why not invite all sections of the left movement, ranging from those who are with the JO (especially Vasudeva Nanayakkara), the UNF and in-between (like the Communist party) to join a conclave or common mobilization against racism, and indeed help to formulate such a platform? One may be pleasantly surprised at who turns up. After all, it worked with the anti-SAITM mobilization, in which the FSP, JVP and JO came together. If that was possible, why not on the issue of anti-racism and inter-ethnic peace? An anti-racist movement of peace and solidarity must reach out beyond the various tendencies of the Left. Obviously those of a liberal persuasion should be incorporated but this alone won’t do. A movement of only the like-minded cannot effectively combat racism. The strategy must be the broadest possible outreach so as to isolate the racists and the fascists. Such an outreach must necessarily include nationalists who are not fascists or racists. Any anti-racist movement formed in today’s Sri Lanka must learn to distinguish between Sinhala and Tamil nationalisms, extreme chauvinism/ultra-nationalism and violent ethno-religious extremism (which is proto-fascist). Sometimes it is necessary to unite with nationalists to fight the chauvinists. This does not mean that anti-racists from South or North have to convert to nationalism, become nationalists themselves! The project of building an anti-racist movement will ultimately help the JVP and its breakaway, the FSP, to achieve two strategic objectives; firstly, to prepare for and survive whatever happens to be the outcome of the national elections of late next year, and secondly and much more importantly, to overcome the three main factors that have prevented them from achieving the success of their counterparts globally. Firstly, from its inception in 1965, the JVP has never had adequate Tamil participation nor Tamil partnership. This is also true of Muslims. Secondly, neither the JVP nor the Left as a whole was ever able to balance the anti-imperialist national liberation aspect of the struggle with the solution (i.e. autonomy plus equal rights) to the internal national question in Sri Lanka. Instead there was always a ‘right’ or ‘left’ deviation. 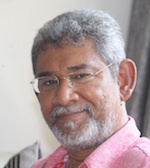 The swerve was either towards national liberation which fused with Sinhala nationalism, or the throwing out of the baby of national liberation, independence and sovereignty together with the bathwater of Sinhala nationalism. It is the latter deviation that the JVP, FSP and the Communist party share today, while the former deviation is the groove in which the JVP’s breakaway in the JO’s ranks is still stuck. Today the anti-imperialist struggle for national independence, sovereignty and liberation has, by dint of default by the left, been transferred entirely into the hands of the nationalist-populist camp and the xenophobic ultranationalists on its right flank. The task of forming an anti-racist, inter-ethnic peace and solidarity movement, should the JVP and FSP choose to undertake it, would help them build the capacity to overcome these three historic, congenital weaknesses, which are the necessary prerequisites for a long overdue left counterweight and resistance, which can develop into a Left alternative capable of navigating a left turn to sanity for Sri Lanka.